Our Chocolate Macadamia Nut Chamomile Tea is a delicious flavored Chamomile tea with Macadamia Nuts, Chocolate Drops and Mango Slices that you will enjoy relaxing with anytime! The natural Chocolate Macadamia Nut taste is delicious! 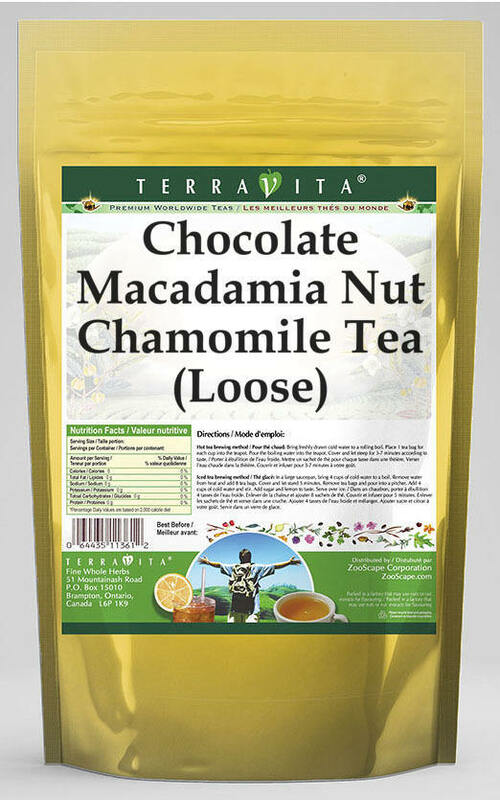 Ingredients: Chamomile tea, Macadamia Nuts, Chocolate Drops, Mango Slices and Natural Chocolate Macadamia Nut Flavor.